I’ve lost another 1.8 pounds this week. I feel fantastic. I was just reading a blog that was so inspiring. She said, “Since I’ve lost, I gained a life”. How true that statement is. Now that I am on this path of discovery, I have not considered the endless life changes that I will experience. If I felt that my life was pretty good before, I am on the road to greatness! I have already noticed changes with my sleep, mood, and energy levels. It really is truly a transformation. My goal is to not get a head of myself, and appreciate the steps that I am making, on a day-to-day basis. One thing I have done to avoid overwhelming myself is to place my weight loss goals in small 20 pound increments. Overwhelming myself is a real possibility, if I took on an insurmountable goal; my task would seem more daunting and frightening. 20 pounds is easier to digest than 80 or 100 pounds. At the end of each 20 pound victories, I do something nice for myself, and I start all over again, as if it is day one! I hope I am not making it seem that the 20 pounds are easy to shed, because they are not, but it is a real conclusion. Moving past what our society and environment expects is the tough part, because there is not a quick fix to transforming a lifestyle. Sure, I could explore the options that are available, such as gastric bypass or Phentermine or Orlistat (weight loss medications). However, are these things going to change my behavior; my mental thoughts of food; decrease my ignorance on good and bad foods? No, it is not. These things are quick fixes and temporary. The Mayo Clinic found that ” it’s common to regain weight no matter what obesity treatment methods you try. ” This means that all the work that should have been done, in the beginning, still has to take place, to keep up the weight loss. One way or another, a behavioral change has to take place, or the weight will come back. So, I am settling in to my 20 pounds at a time, while I walk into a better life, one day at a time. 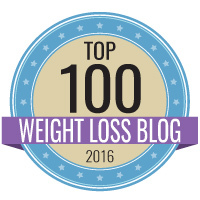 This entry was posted in Health Care Opinions, Weight Loss Journey and tagged aspirations, Dream, Gastric bypass, Health, inspiration, Life Changes, Medications, transformation, Weight Loss.